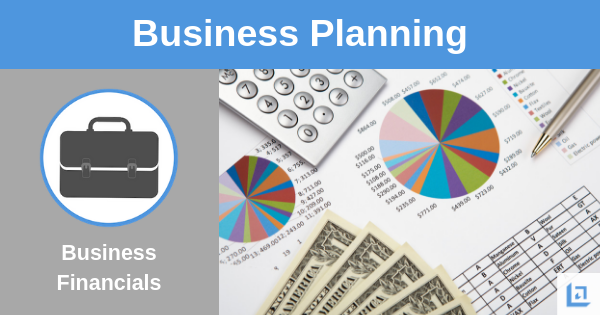 Well prepared business plan financials are key to opening the wallets of bankers and investors. Experienced business owners know that money, ready-cash, is the life-blood of any successful business. Therefore, it is so important to regularly update and analyze the financial statements of your business. 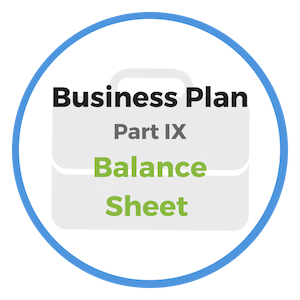 If you've been following along in our Business Planning course, your business plan up to this point is mostly conceptual, that is until you add the financial numbers to back up your plan. As an example, your marketing strategy may sound great at first glance, but adding specific numbers is what really makes any plan truly powerful. Why? Because “numbers don’t lie” (so long as the numbers are accurate). Solid numbers will give everyone confidence in your business plan. This section of your business plan must be crisp, clear and provide a firm financial foundation to your business plan. You’ll achieve this by providing clarity into how you’ll manage the finances of the business and through detailed financial projections and statements. The financial section of your business plan is one of the most important if you want to win over investors or obtain funding from a financial institution. Even if you don't need financing, you should always complete financial projections to assist you in managing the direction of the business. "The continued financial education of a business owner is key to the future financial success of his or her business." Your business plan financials should only be created after you’ve fully researched the market and determined very clear written objectives. During the next three sections of this business planning course we will identify and provide instructions for building a current and prospective Balance Sheet, Income Statement and Cash Flow Statement. Combined, these three financial statements will be the key measuring stick for your business. Regardless of whether your business already exists or is a startup venture, you will be required to provide a full set of business plan financials, complete with projections that are well supported with market data. For the first year in business, banks typically ask for monthly projection statements. For year two, assuming the business stays on plan, quarterly statements may be acceptable. If the business remains on track, annual statements may suffice for years three through five. Regardless of what the bank requires you to provide, every savvy business owner will be managing the financial statements monthly throughout the life of the business. As prospective lenders review your business plan they will be on the lookout for any inconsistencies. It’s always best if you catch your own mistakes before they do; you want to maintain your credibility as an astute businessperson. Describe the company’s sales and profits trends. Outline your strategy and timing for obtaining additional capital for expansion and/or to meet current needs. If you have an existing line of credit, provide name of bank, line limit, amount owed and available, and how it is secured. Identify any debt and its purpose that the business and/or owners have guaranteed. Include copies of original notes or contracts signed. Describe the method of financial accounting (cash or accrual); how financial statement are prepared (in-house or outside accountant); is system manual or computerized? Explain any abnormal, nonrecurring, or unusual items on the most current financial statements. Disclose any outstanding claims, charges or pending legal cases that the company or owners are involved in, or are at risk of being involved in. Finally, key financial ratio information should be provided as part of the business plan. High quality color graphs and charts also add to the professionalism of your business presentation. "Your financial life is like a garden. If you tend a garden carefully, nourishing the flowers, pruning, and weeding, it's going to be a lot more beautiful than if you just water it half-heartedly now and then." Managing money effectively equates to ones desire to manage pain, both in business and in your personal life. Imagine the pain associated with scrimping and saving your pennies. While the pain of holding off to buy that thing you so desire does sting it does not begin to compare to the enormity of pain that goes along with the stress of being chased by hungry creditors. "Those who would have and keep money must regulate their desires." Too much debt can rob you of your strength, ambition and dignity. Debt can destroy your peace and tranquility, which is so essential to the successful pursuit of an occupation or profession. The trick or 'secret' that most people choose to ignore is to make your income, no matter how small it may be, the boundary line of your expenses. There is no one who has achieved success to any great extent who was careless and extravagant about his or her expenditures. It shows a lack of mental and financial discipline; a lack of system or process, which makes way for quick failure. The habit of financial frugality is key to the success of your business as well as in your personal life. Master the skill of reading your business plan financials every month to make informed business decisions. On the personal side, manage your checkbook and bank accounts just as closely. 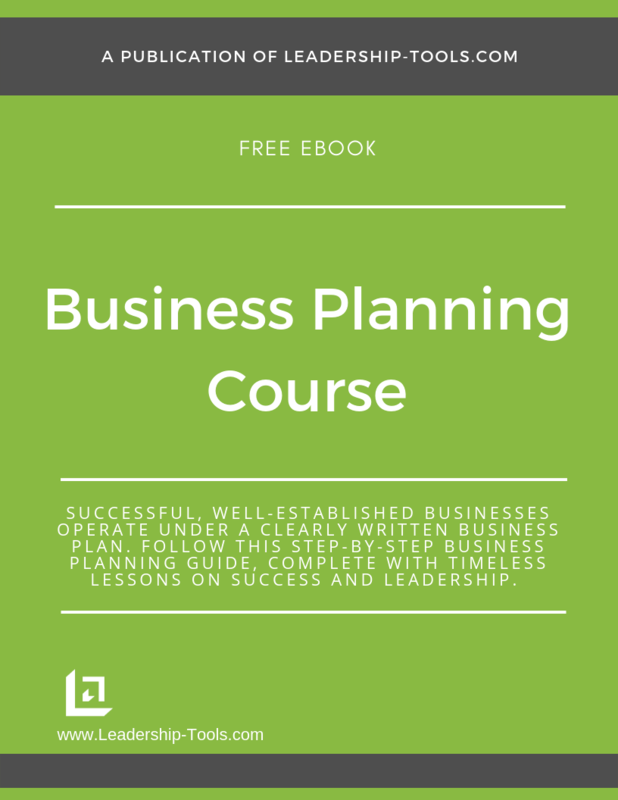 To download our free Business Planning Course/eBook, complete with details on the competitive analysis template and step-by-step instructions for planning the future of your business, simply subscribe to our free newsletter. You will immediately receive a password that grants access to our entire leadership tools library.